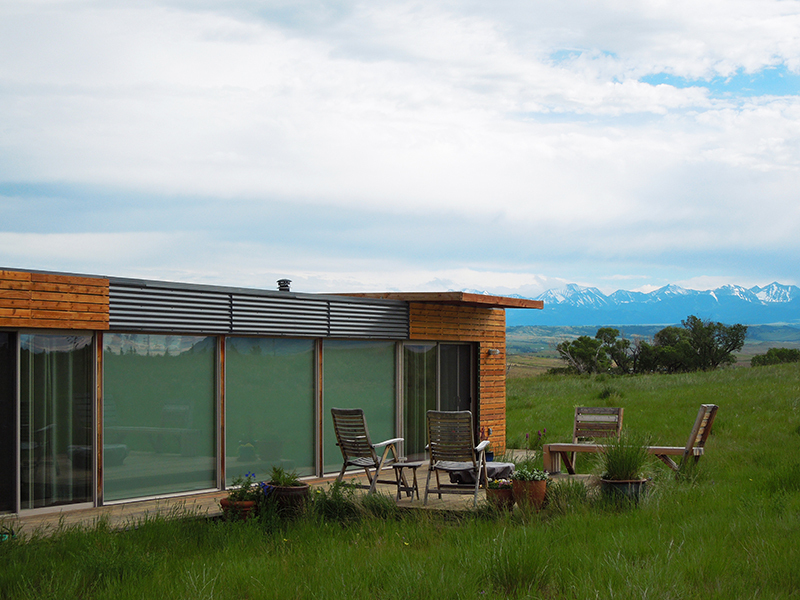 But it wasn’t your typical prairie-land homestead — it was a double shipping container. While upcycled homes have been popular for some time, it’s rare to see two 45-foot-long shipping containers combined into a single living space. When Kelly found the land — a 12-acre blanket of rolling grassland with views of three mountain ranges — he knew this was the spot. To show it off, he turned one of the long sides of his rectangular dwelling into a glass wall. It’s a stargazer’s dream, he says.